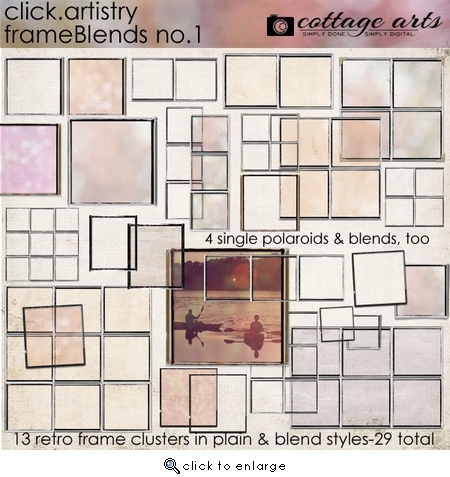 See more ideas/how-to using FrameBlends on our blog here. 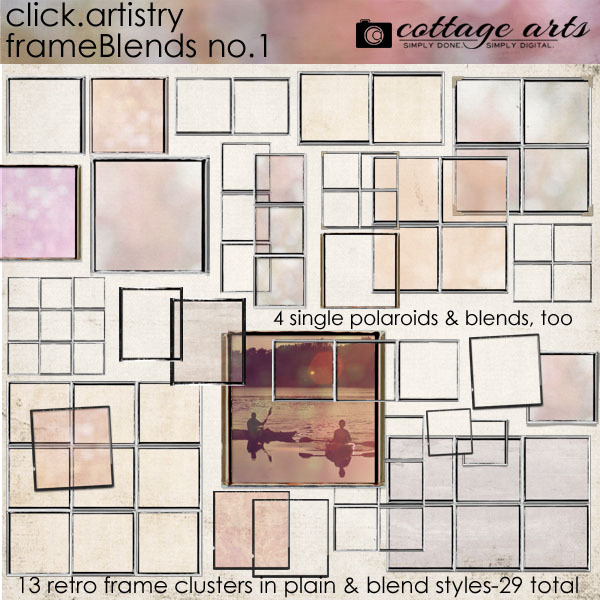 Create beautifully framed photo blends in just one step! We developed these to make our popular photo blend effect even easier! Includes 1, 2, 3, 4, 6, and 9 photo frame sets, with and without photo blend overlays right within. Those with photo blends come with a realistic drop shadow, so all you need to do is lay them on top of your imagery! Links to 3 Blending Tutorials included. Sized 4-12 inches at 300 dpi.